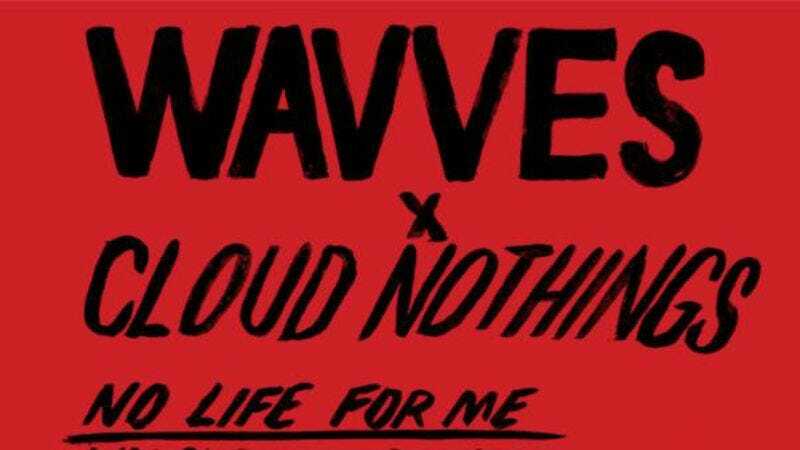 In April, Nathan Williams of Wavves and Dylan Baldi of Cloud Nothings announced that they were working together on a collaborative LP called No Life For Me. At the time, we only had some basic liner notes-style information about how the album was recorded and which other musicians popped in for guest appearances (A guy from Vampire Weekend and some other people from Wavves), but Williams and Baldi would only say that the album would be available later this year. Well, apparently “later this year” has already come, because the album is available now. You can download No Life For Me on iTunes and Bandcamp at those links, but if you prefer limited editions, you can order it on vinyl here—though the vinyl version won’t ship until October.